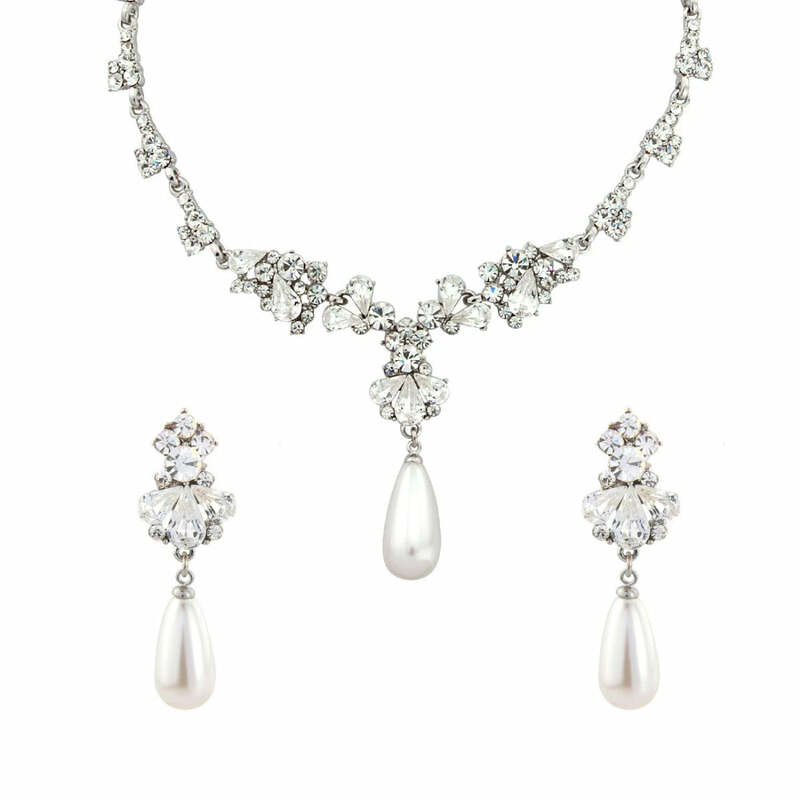 Sensationally dramatic, this swoon-worthy jewellery set features an exquisite Y necklace and stunning pearl drop clip on earrings - perfect for classic bridal style. 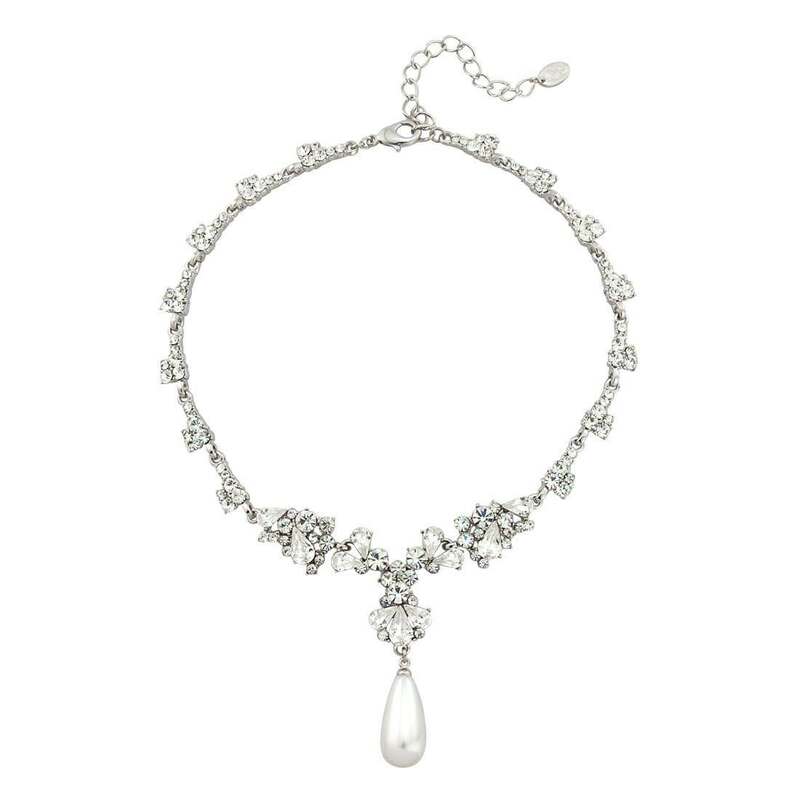 Full of the romantic glamour of Old Hollywood, you could just imagine our Pearl Heiress Jewellery Set adorning a Starlet in an old movie. Featuring a stunning pearl drop Y necklace accentuated with sparkling Austrian crystals and with coordinating drop clip on earrings, this sensational two piece harks back to yester year with an elegance guaranteed to accessorise you with style for every special occasion. 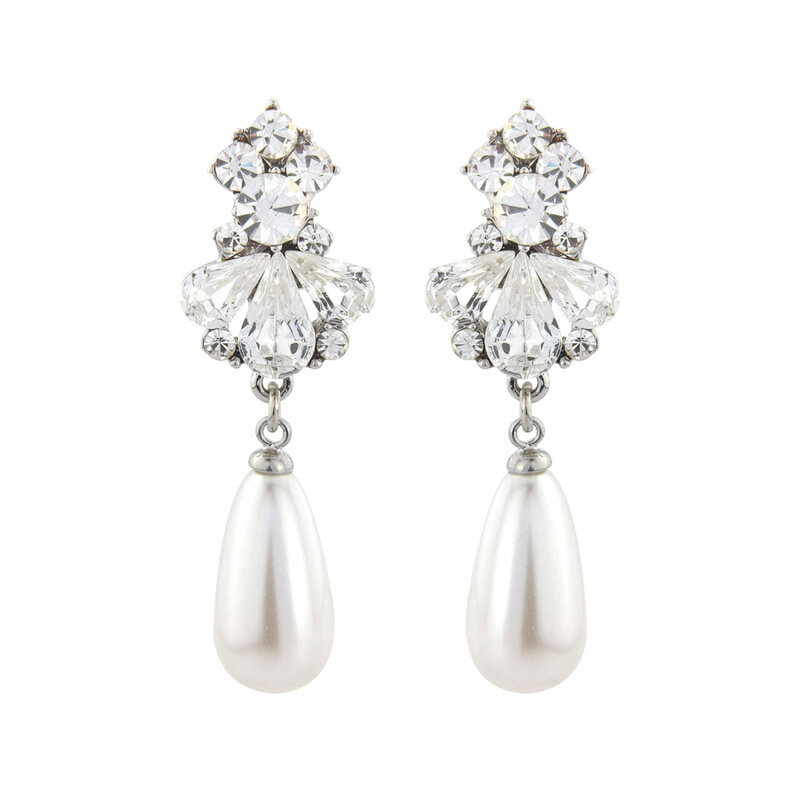 Brides who love wedding jewellery sets with clip on earrings that are both glamourous yet classy will adore this divine duo. 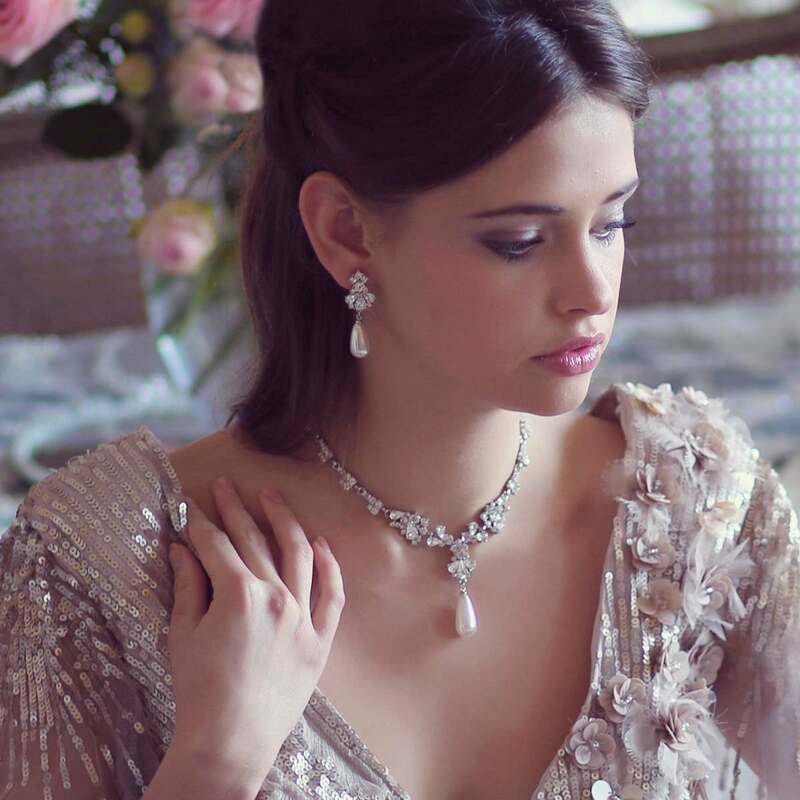 The answer to the prayers of every bride-to-be with non-pierced ears, Pearl Heiress will add the perfect finishing touch to a strapless or V fronted wedding gown. For a look that embraces 1940s and 1950s elegant vintage style, go for a chic updo so that your gems are a focal point. Beyond the big day, this necklace and clip on earrings set will dress up every special occasion outfit. Whether adding classic glamour to a floor-skimming evening dress for a black tie ball or a hint of sparkle to a sophisticated shift dress for cocktails with the girls, get ready to unleash movie star style.